Li-Ning has struck a partnership relating to Xiaomi's fitness band. After releasing a fitness smartband, China's Xiaomi is helping to bring the technology to smart shoes. Chinese athletic footwear maker Li-Ning is tapping into Xiaomi's ecosystem by using the smartphone company's mobile exercise app on two of its running shoe products. Li-Ning is also working with Huami Technology, a Xiaomi-invested company that designed its fitness smartband, to develop the shoes. Unveiled back in July, the "Mi Band" can synch with Android phones, and tracks exercise stats, such as steps taken, calories burnt, and hours slept. But perhaps its major draw is its cheap price, at about US$13. Li-Ning, which announced the partnership on Monday, wants to combine the technology with its own data and experience in the field. 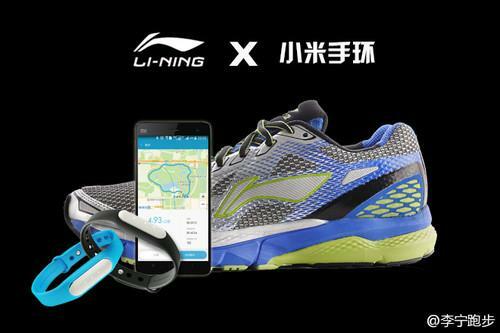 In the past year, Li-Ning and Huami Technology have worked together to develop a chip, which can collect the shoe wearer's exercise stats and analyze the running performance. Monday's partnership is another sign that Xiaomi continues to grow in influence in its home market. 2014 represented a milestone year for the fast-rising company, which became China's largest smartphone vendor. But Xiaomi isn't just satisfied with selling Android handsets, and wants to expand across other tech sectors. To do so, the company has been funding partner companies in China that have been releasing Xiaomi branded products, including air purifiers and the Mi Band, which went on to ship 1 million units within three months after it launched. Although these products have yet to arrive in the U.S., Xiaomi has plans to expand globally. It will take its first step in the U.S. market, by setting up a website later this year selling phone accessories. As for Li-Ning, the upcoming smart shoes will be far less expensive than other competing products, the company said. In China, Li-Ning is a major brand, and it's also expanding in the U.S., where it signed NBA star Dwayne Wade to an apparel deal back in 2012.